Earlier this month, Tony Abbott travelled to India to seal the deal on a bilateral nuclear cooperation agreement which will allow the sale of uranium to the subcontinent. Australia had previously banned the sale of uranium to India, due to its status as a non-signatory to the Nuclear Non-Proliferation Treaty. Australia has the largest known uranium deposits in the world and is the third largest exporter, behind Kazakhstan and Canada. There are currently only three operational mines in Australia – Ranger (NT), Olympic Dam (SA) and Beverley (SA). In October 2012, newly elected Queensland Premier Campbell Newman announced that the long-standing ban on uranium mining in the state would be lifted. The backflip on his pre-election promise not to pursue uranium mining came shortly after PM Julia Gillard pushed to reopen uranium negotiations with India in 2011. Although not officially banned until 1989, uranium hasn’t been mined in Queensland since 1982 when the Mary Kathleen mine in the state’s north west was closed for rehabilitation. It is this mine which will first be reopened, with the government opening up submissions for its development last July. The reopening of other closed mine sites in the state is expected to follow. According to the State Government, there are more than 80 known sites containing valuable amounts of uranium, the majority in the state’s north west. One of the largest deposits is just 50km south of Townsville at Ben Lomond. Last mined over 30 years ago, it’s being eyed up by mining companies and the Queensland government is ready and waiting for submissions to redevelop the site. In response, residents of Townsville declared the city nuclear free earlier this year and have been actively campaigning against the reopening of the mine since the ban was lifted. “It’s hazardous, it’s very high risk, it’s at the top of a water catchment that’s our backup drinking supply. The risks associated with opening Ben Lomond are simply not acceptable.” – Deputy Mayor and LNP member Vern Veitch. Despite being located in a cyclone and flood prone area, State Resources and Mines Minister Andrew Cripps sees no grounds for objection against the Ben Lomond mine. The global uranium price has plunged since its peak in 2007, now sitting at one quarter of the 2007 price. The Fukushima disaster in 2011 and a huge oversupply in the market are cited as the factors behind the slump. Many find Minister Cripps’ claims of the potential for uranium exports to earn billions of dollars for Queensland extraordinary. Uranium mining just doesn’t make economic sense for Queensland. As with the rest of the mining sector, we continue to hear the same rhetoric about job creation and economic opportunities. But the reality is that mining employs far less people than the industry and the government would have us believe. Given the Newman government’s poor track record, there is also scepticism about the so-called “robust framework” in place to protect the environment. Local graziers of the land surrounding Mary Kathleen mine are deeply concerned about the reopening of the mine, fearing contaminated dust will be blown onto their land and groundwater will be impacted. Third generation grazier Ian Campbell said that the mine’s recovery was mismanaged, leaving behind dead, contaminated land. Though the tailings dam was mostly drained and capped with rock, thirty years on the rate of seepage is much faster than predicted. Metal-rich, radioactive waters have made their way into the local drainage system, contaminating the land and killing vegetation next to the mine. Since the ban was lifted in 2012, many have questioned whether Queensland ports will be used to export the material, potentially through the Great Barrier Reef. As it stands, there are no licensed ports in Queensland for the export of uranium. Uranium mined in SA and NT is currently exported through the existing licensed ports in Darwin and South Australia, although if Queensland is to resume mining then it’s a safe bet that it will be exported from there. In 2012, the Port of Townsville applied for uranium to be exported through its ports, due to its proximity to Mary Kathleen and Ben Lomond. It described Townsville as a readily equipped gateway to facilitate the transport of yellowcake. In light of recent environmental victories against mining companies, the Newman government recently passed a bill to remove public objection rights on mining lease applications. The Mineral and Energy Resources Bill was opposed by an unlikely team – Labor and Katter’s Australia Party – who feel the bill supports large mining companies at the expense of landholders. 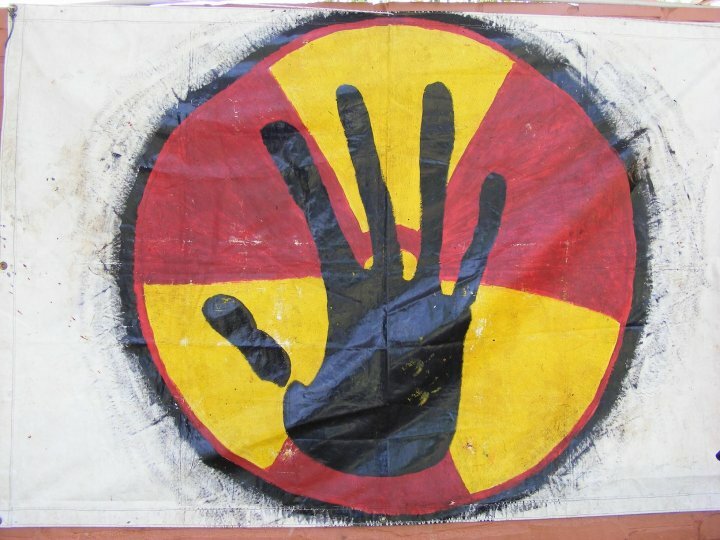 It is estimated that 70% of the world’s uranium lies on indigenous lands, a situation that is reflected in Australia. Indigenous communities in Australia are disproportionately affected by the social and environmental impacts of uranium mining. This occurs in a number of ways – bullying tactics used by mining companies, failure to consult Traditional Owners in a meaningful way, destruction of cultural sites and rock art. The adverse health impacts from exposure to uranium continue to be downplayed by the Australian mining industry who have a history of non-compliance with environmental regulations. In December of last year, 1 million litres of uranium slurry burst its containment tank at Ranger mine in World Heritage listed Kakadu National Park. The same mine has experienced more than 200 spills, leaks and breaches since opening 35 years ago but still continues to operate. As the so-called ‘Pusher in the Pacific’, does Australia have any ethical obligations when it comes to the export of uranium? The Japanese PM at the time of the Fukushima disaster recently toured Australia warning politicians and Traditional Owners about the risks of uranium mining. As he reminded us, Australian uranium was powering Fukushima at the time of the meltdown. Despite not having conducted a nuclear weapons test since 1998, India remains a non-signatory to the Nuclear Non-Proliferation Treaty and is actively expanding its nuclear weapons program. There is no way we can ensure that Australian uranium is only used for peaceful means. Abbott would have you believe that Australia is saving India by exporting our coal and uranium to their power hungry masses. But is it really ok to export uranium to developing nations, while we don’t pursue nuclear energy ourselves?